Conch Shells which spiral to the right are very rare and considered especially sacred, the right spiral mirroring the motion of the sun, moon, planets and stars across the sky. Also, for Buddhists, the hair whorls on Buddha’s head spiral to the right, as do his fine bodily hairs, the long white curl between his eyebrows and the conch like swirl of his navel. The Lakshmi Conch shell is a sacred manifestation of Supreme Goddess Lakshmi, and is most effectively used to bath a genuine Gandaki Vajra-kita Shalagram Shila (ammonite from Gandaki River in Nepal having chakra cut by Vajra-kita worms 140 million years ago). 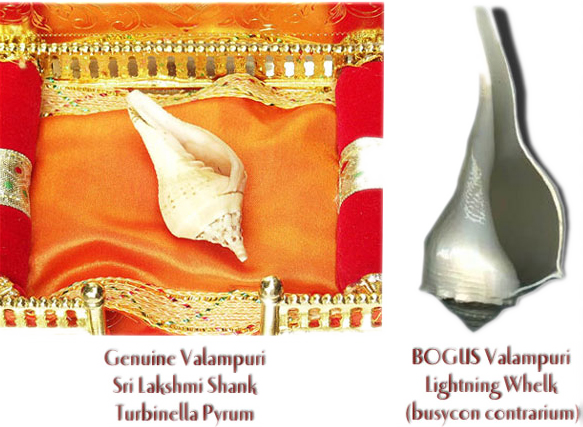 The TOP picture showing a genuine Lakshmi Conch with a genuine Shalagram Shila is one of a kind. VERY RARE PHOTO. 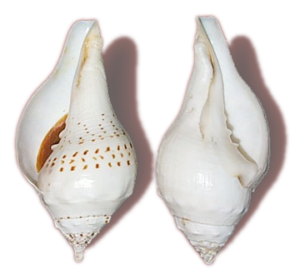 When shell collectors refer to the reversed Shank as “left-handed” or “sinistral turbinella pyrum,” the Indians call the “valampuri” right-handed, because they orient it with the apical spire downwards and the aperture or siphon (mouth) uppermost and, consequently, on the right side of the shell. Note: there are many species in Conch family, but in India “Shank” always refers to the normal smooth white conch shells. They alone are called “Shankh” — and it is only such a shell, if it opens on the right side, that is a real Lakshmi Shank. 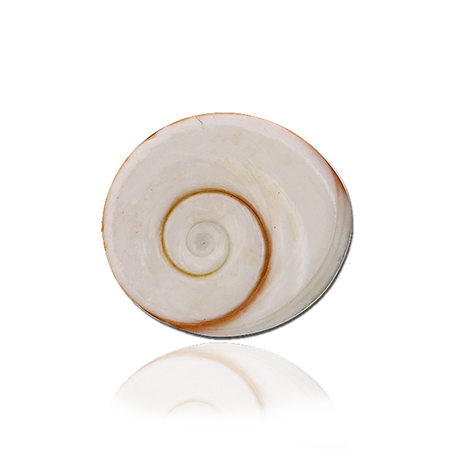 No other right-sided shell is ever Lakshmi Shank (sinistral turbinella pyrum). 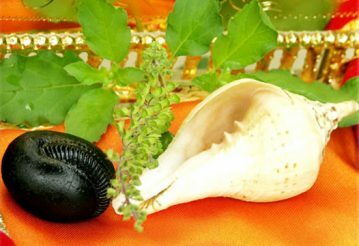 REPLY: Shastra says bone is impure, BUT, Conch Shell (Indian Turbinella Pyrum) is super-pure, even to bathe the Deities. Even Lakshmi Devi and Her Lord Narayana carry one in Their hand. Shastra doesn’t say any shell or every shell is pure, it’s only Indian Shank (Turbinella Pyrum) that is pure. And these come in two types, normal left side opening AND special right side opening (Valampuri Dakshin-varti Turbinella Pyrum). Both are ruled by Goddess Lakshmi. It is not required to have right-side opening. Left side (normal) opening Shank is perfect for puja. And Lakshmi Shank is even better than perfect. It is said by Conchologists that only one Lakshmi Shank is found among 1,000 normal Indian Shanks. And ALL Indian shanks are pure and auspicious. BUT common Lightning Whelk (busycon contrarium), with no internal formation and no ridges in the conch cavity – is a bogus non-pure shell. And as you mention so many temples use this non-conch shell, and they’re doing puja with an impure non-conch shell simply because they have been hoodwinked by con men. It is embarrassing that temples use the wrong shell. And in many temples they openly display the fact that they have been cheated on a bogus Conch. And worse, they tell the public that they have a REAL Sri Lakshmi Conch, even though that is untrue. 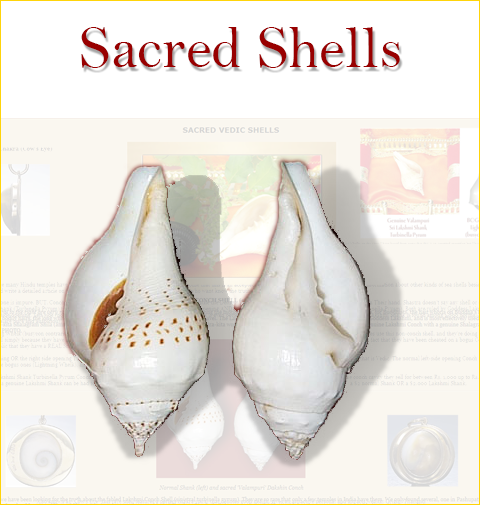 Fact: The left side opening OR the right side opening Turbinella Pyrum Indian Conch – with 3 to 7 ridges in the conch cavity, and special internal structure is the ONLY Shank that is Vedic. The normal left-side opening Conch is very low price, even less than the bogus ones (Lightning Whelk), and only the Indian Shank is correct for puja. 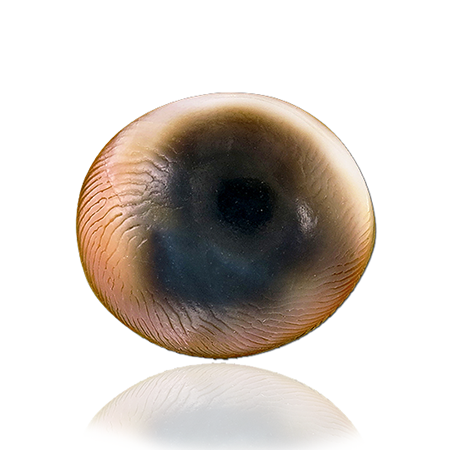 Also known as “Cow’s Eye” this rare shell features a perfect chakra spiral that denotes good health, gives an attractive persona, and attracts wealth. Origin: Thailand.